They say the best things come in threes, and we couldn’t agree more! 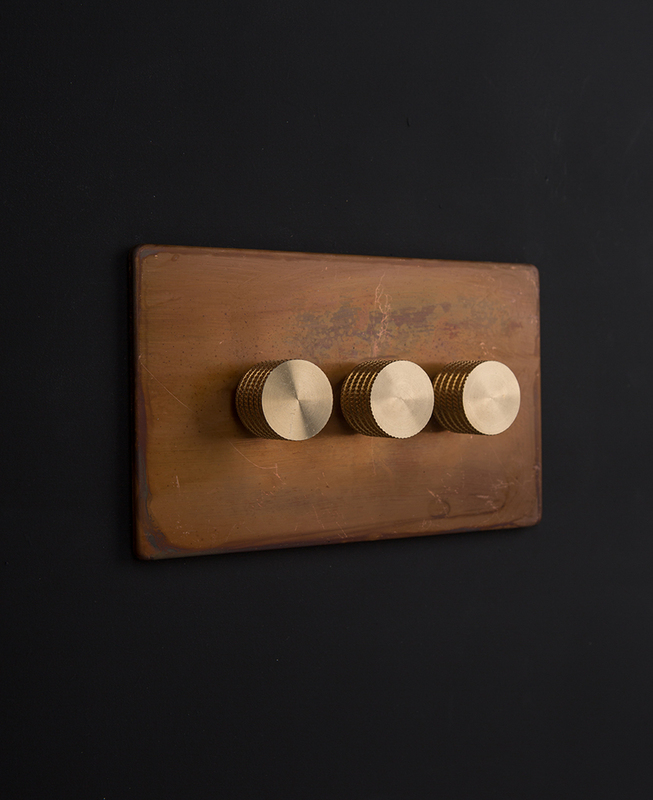 Our copper triple dimmer switch has a stunning tarnished copper plate with three very cool dimmer knobs. Having all your dimmers in one place makes it really handy for controlling the lighting level of all your ceiling and wall lights in one go. You’re very welcome. 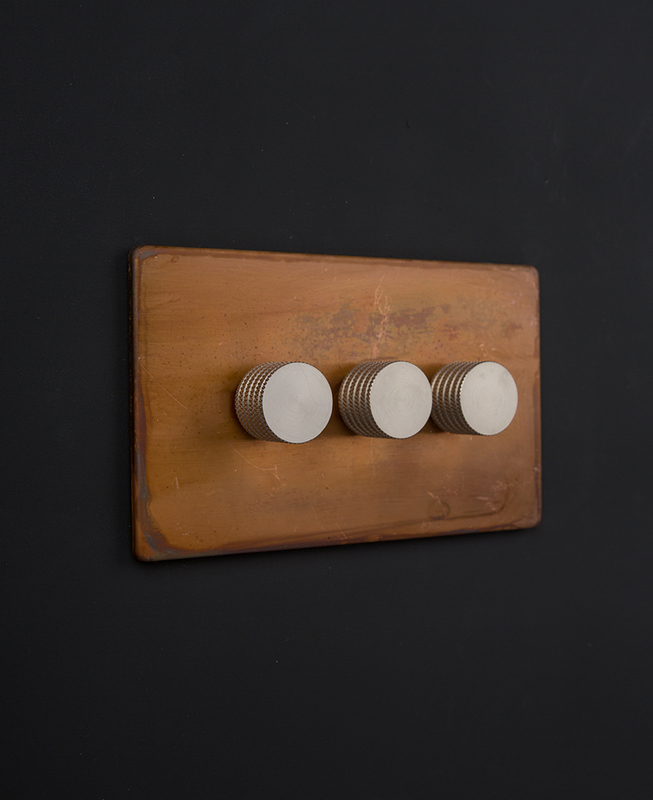 Our beautiful copper triple dimmer switch not only looks good, it performs like a dream too. No more traipsing from switch to switch to get the perfect ambiance in your room, just head straight here and hey presto, you’re done. And if you need further proof that this dimmer switch has both brains and beauty, let’s talk knobs. You probably thought “oooh, they look nice”, and yes, they absolutely do! But, there’s a practical reason why they have that lovely knurling around the edge, and it’s simply that it makes it easier to grab hold of them and turn them, without any slippage. We know that it’s usually what’s on the inside that counts, but let’s take a minute to appreciate the beauty of the tarnished copper too. There are swirls and whirls of warm oranges and browns with the occasional zing of purple running through it. 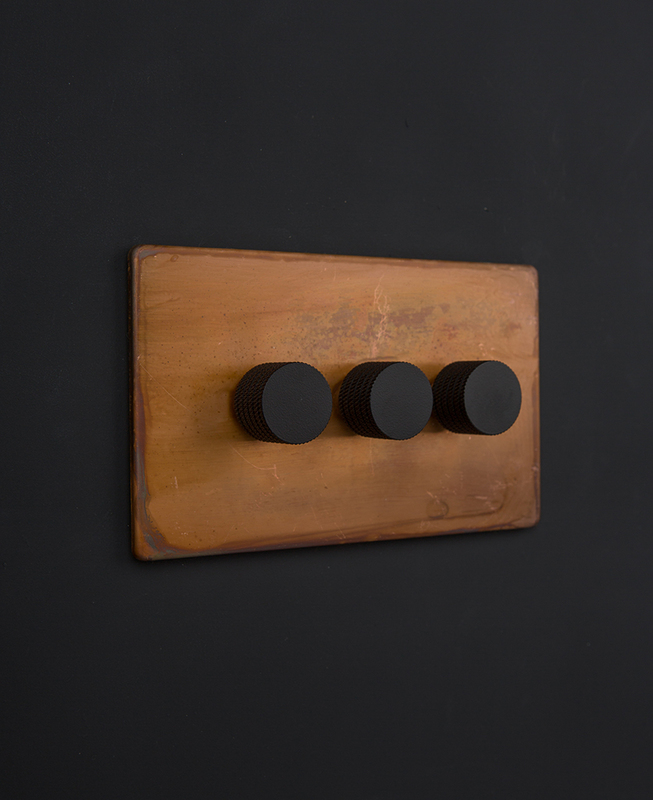 This amazing finish happens during the tarnishing process and is completely random, meaning your copper triple dimmer switch is totally unique. Very cool! This triple dimmer switch is part of our range of copper designer light switches and sockets. A collection that includes high quality single, double and treble dimmers, single, double and treble toggle switches plus matching plug sockets and cooker switches. These are all designed by us, and exclusively sold by us so you won’t find them just any old where. 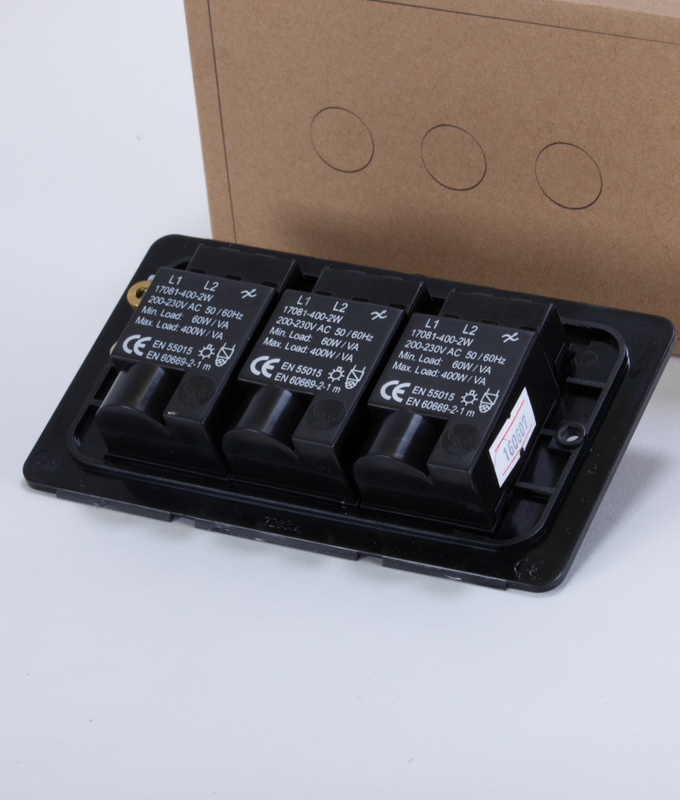 If you’re not sure which is the right switch for you then check out our light switches explained guide to find out the difference between 1, 2 & 3 gang plus when to use 1 way, 2 way and intermediate switches.